The Gibson Les Paul Studio is a damned fine guitar. It is the entry level, no frills Gibson Les Paul. The problem is everyone in the world has one. And you've maybe read complaints in forums about how Gibson, as a brand, isn't always so consistent with the quality of their products. It could be the Les Paul is almost the right guitar for you, but almost isn't quite good enough. The golden age of guitars was not yesterday. The golden age of guitars is right here and right now. There are more options to choose from within any price range and specifications demands than ever before. While every Gibson Les Paul will always be a great guitar to own, you may just want something that looks a little different, sounds a little different. And maybe you want something that looks flashier than the LP Studio for the money. Jackson Pro Series Monarkh SC shown in tobacco burst finish. As a brand of guitar Jackson needs little in the way of introduction. 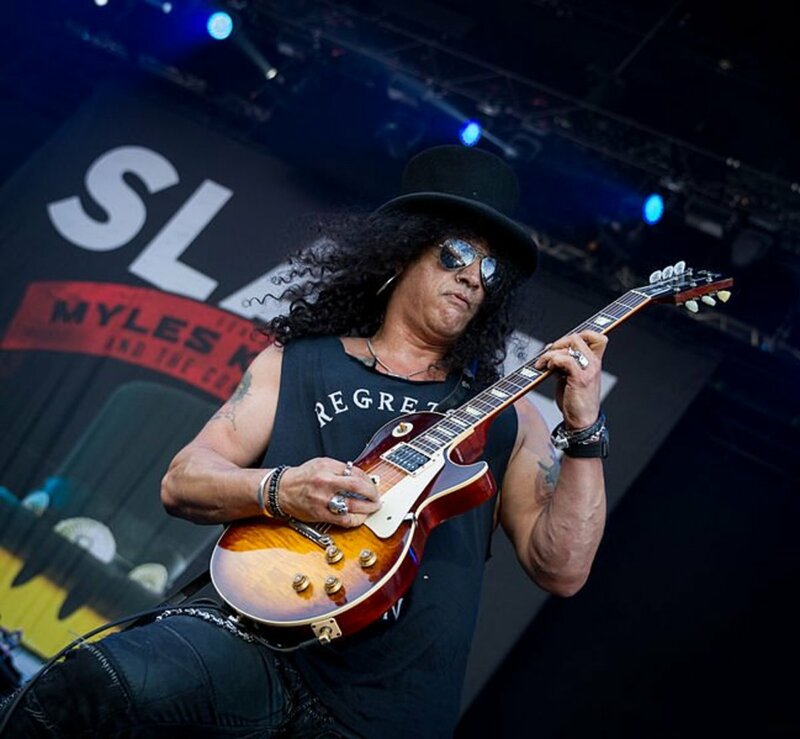 They've been one of the preeminent makes for the heavy rock and metal guitarist since the 1980s. Randy Rhoads famously sported a Jackson V when not playing his Gibson Les Paul. These guitars are priced well under the range of the LP Studio. This guitar is made for metal. It has some high output, active, Seymour Duncan pickups with very low noise. The Jackson PRO Monarkh SC guitar is going to please you should you have an appetite for distortion and crunch. My spelling of the guitar's name is not in error, by the way. This guitar's design and scale length are nods of respect towards the Gibson Les Paul. If the traditional 24.75" scale is what is right for you, then the Jackson fits the bill. Unlike the Les Paul this Jackson has a maple neck and an ebony fretboard. Call me a heretic if you like, but were the Gibson Les Paul to have an ebony fretboard, I'd like it just a bit more than I already do. The neck material and fretboard material absolutely make a tonal difference. The headstock shape of the Jackson PRO Monarkh SC is a drastic departure from the typical Gibson LP style. Most guitars which are already obvious Les Paul inspired stick to the script pretty closely. The Jackson has a decided aggressive look. Pointy shapes on metal guitars seem to invoke aggression. This guitar combines the elements of Jackson guitars which people most love with the essential elements of the Gibson LP. These Jackson Pro Monarkh SC guitars are available in several very impressive and flashy finishes. The maple tops have really been worked to bring out the contrasts in the colors. The body has a shredder's contour on the underside so you can reach all the frets with much greater ease than with a Gibson Les Paul. The three ply body binding is also very attractive. There is an active pre-amp as a standard feature here, so the Jackson has newer style electronics incorporated.The Jackson fully adjustable radius compensated bridge creates perfect intonation along the entire length of the neck to ensure complex chords ring true while the anchored tailpiece and Jackson die-cast locking tuning machines work in harmony for tuning stability that can withstand a good pick-hand thrashing without shifting. I've been unable to locate any complaints about this guitar. For under a thousand dollars one would be hard pressed to find a better single cut, double humbucker shred machine. This guitar represents the best of Indonesian manufacturing while also using some of the best of American manufacturing in the electronics. The fit, finish, build quality, and price are all superb. This age of ours is the age of consumer choices. There are endless choices when it comes to guitars. This is the golden age of guitar. You won't make a bad choice should you choose any guitar by Schecter. The Schecter Blackjack ATX Solo-II Electric Guitar is another knockout value for the dollars spent. All Schecter guitars are built overseas, but the manufacturing doesn't end there. They are all sent to California for some professional finishing. And they incorporate American made electronics. Much like the Jackson guitar this one represents the global economy and the interconnections of it nowadays. This Schecter Blackjack ATX Solo-II is quite the similar guitar to the Jackson discussed above in many ways. They have the exact same control scheme and the exact same model of Seymour Duncan pickups. They cost pretty much the same, and which one you prefer is purely a matter of your tastes. There are differences though which can mean a lot to persons with refined knowledge of guitars. The Schecter Blackjack ATX Solo-II is more subdued in appearance than the Jackson. It is also more traditional in that instead of a maple neck, it has a mahogany neck. The Schecter, like the Jackson, has an ebony fretboard. And I can't really ever say enough how much I prefer an ebony fingerboard to one of rosewood. If you look hard enough you will find these instruments in colors other than black, and with body woods other than mahogany. They do have maple tops on them. But we are clearly here not attempting to display stupendous maple figuring. It should be noted by everyone looking for a Les Paul-like guitar with a maple top that the figuring on the maple top in no way means the maple top in question will be better or worse insofar as its influence on the guitar's tone. What matters in terms of maple tops on solid body guitars and the guitar's tonality is how thick or how thin the top is. Me personally, I'm quite happy with the looks of the Schecter and its pick-guard. Should you not be so inclined, the pick-guard will surely come off easily. In any event, all guitars of this make and model have a dark and Gothic visual aesthetic to them. This Schecter also features the underside contour beneath the cutaway for access to the entire fretboard. So for the shred metal guitarist, both these guitars offer accessibility the Gibson does not. 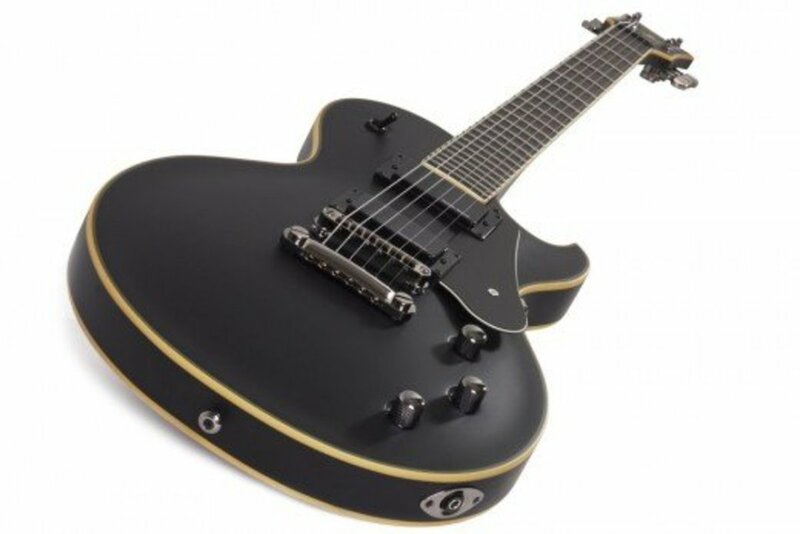 ESP LTD EC-1000 EverTune electric guitar in ebony finish. ESP guitars are globally recognized as providing oodles and gobs of value for any price point one spends on one. 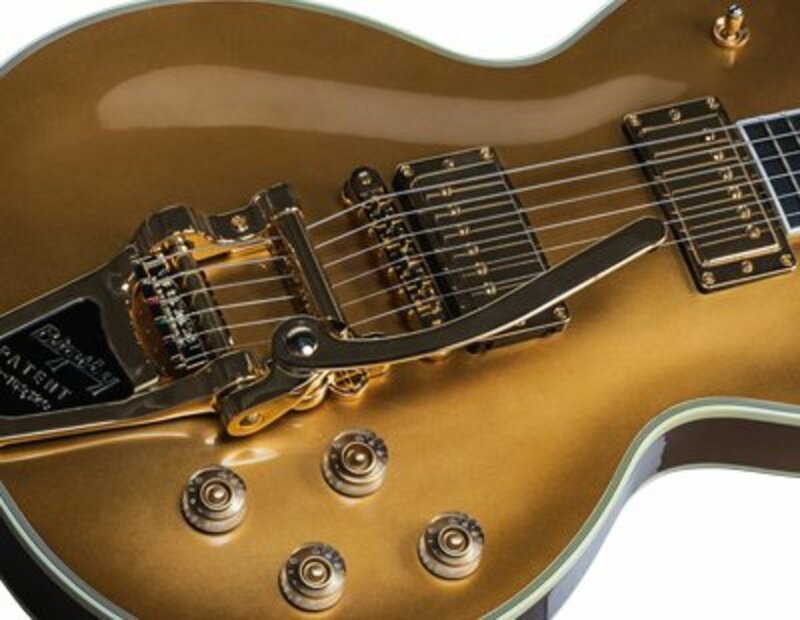 The ESP LTD EC-1000, or 'eclipse,' is one of the very first guitars a person will think of when they think of modern Les Paul-like guitars which sell for considerably less than what Gibson asks. There are many different guitar oriented forums on the internet. 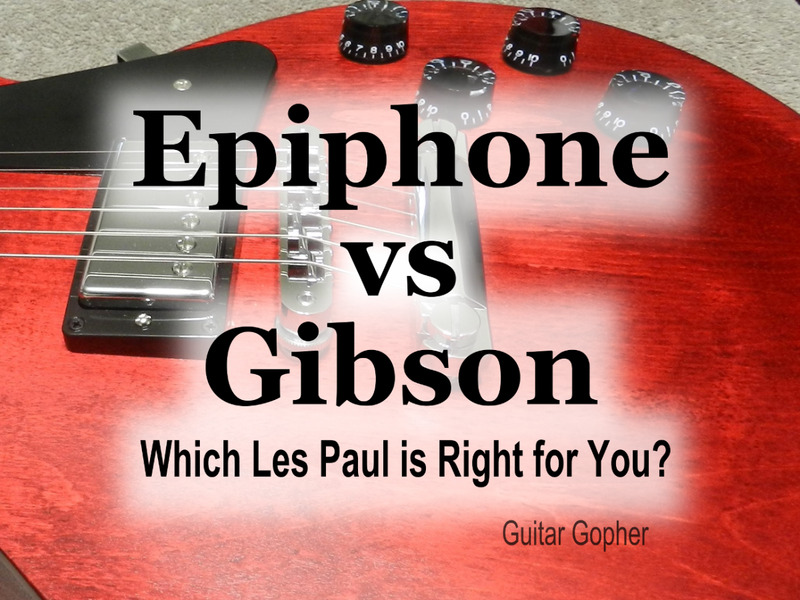 Some of them are larger than others, but all the main ones have threads about how the eclipse compares to the Les Paul Studio, or even to other varieties of Gibson Les Paul. Many persons will tell the prospective buyer to get the ESP instead of the Gibson.Their reasoning is the eclipse renders more guitar bang for the bucks spent. For our purposes here we won't be saying what is better or worse because once you reach a certain price point or investment level, what is better or worse should only ever be subjective. One thing for certain, though, is the ESP LTD EC-1000 line of guitars is resplendent with options. You certainly have more options than offered on a Les Paul Studio, and the eclipse sells for less. Every ESP LTD EC-1000 is a fine guitar, and compares well with a Gibson Les Paul Studio. But there are so many options and varieties of the EC-1000 to choose from that for our purposes here we will narrow the focus to the ESP LTD EC-1000 EverTune Electric Guitar. This guitar offers some new technology which you will likely never ever see on a Gibson Les Paul. What is this EverTune business? The EverTune is the bridge, and if you look at the photo you will see this ESP eclipse has a bridge which is a big departure from the Les Paul style saddle and tailpiece of the other guitars. EverTune is an all-mechanical system, with springs in the guitar's body that provide constant tension to the strings. The result: you not only maintain excellent tuning from day to day, but your guitar's intonation is amazingly accurate at all points up and down the neck. You don't have to change your playing style or any degree of expression while remaining in pristine pitch at all times with this guitar. You can do all the crazy string bends you want with this thing, or you can get as aggressive with your picking and strumming hand as you like. This ESP LTD EC-1000 EverTune is also a 24 fret guitar. So you get more frets to play with than with a Gibson LP Studio. But the guitar has the same scale length as the LP. Ibanez ARZIR20FB Iron Label shown in dark brown sunburst. Ibanez, like all makes discussed on this page, has a large list of persons who endorse their guitars. They've a long history of quality. The Ibanez ARZIR20FB Iron Label guitar discussed here is something a little bit different from the norms in one way in particular. It has a bubinga wood top on it. Persons who spend a lot of time thinking about guitars obsess over woods and materials. Bubinga is a newer material incorporated into the building of both acoustic and electric guitars. Some persons refer to bubinga as 'African rosewood.' While this may not be a truthful or scientific description, the nickname is something to take note of. In just about every guitar forum you will see where tonewoods are discussed there will be the one guy who insists no one can hear the difference in a blind test between this wood and that wood. Be certain you pay no attention to that fellow, as he is essentially saying all guitars sound the exact same. This is plainly not true. The bubinga top on this Ibanez is plainly beautiful. And after the finish is applied one may not be able to visually tell it isn't a maple top of some figuring or another. The visual aesthetic beauty of this Ibanez doesn't hardly end with the top though, the binding on this guitar is stunning, as is the inlay. It is an industry standard that single cutaway Les Paul style guitars have a 24.75" scale. This guitar, however, has a slightly longer scale of 25". The purpose of this is to allow for the player to utilize drop tuning without suffering from the strings being insufficiently tense. The Ibanez Iron Label ARZIR20FB electric guitar is fitted with a pair of hot EMG active humbuckers - an EMG 60 in the neck position an EMG 81 at the bridge. Those pickups and the extended scale length make it quite clear this guitar was built for the metal guitarist. Whether you're playing shimmering chords, cascading single-note runs, or cranking out palm-muted death chugs, you'll have the wide tonal range and dynamic response you need for expressive performances. This Ibanez, like the ESP LTD EC-1000 is a 24 fret guitar. These guitars are very very similar and fall in the same price point at around one thousand dollars. My advice would be for the prospective buyer to play both guitars if possible, and choose the one which sings most sweetly to them. 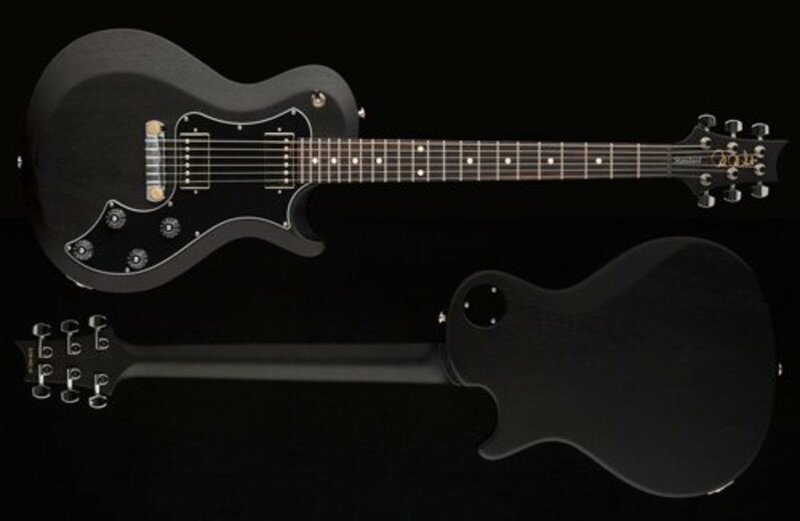 The PRS S2 Singlecut shown in black satin finish. The PRS S2 SC guitars are all brand spanking new. They are at around the same price as a Gibson Les Paul Studio, and unlike the guitars higher up on the list, they are made entirely in the USA. Paul Reed Smith's guitar manufacturing is also quite different from that of other manufacturers. PRS makes every single last part on their guitars. They aren't, for instance, using someone tuning machines or pickups made by someone else. Buying a guitar where everything is made and assembled in the USA is very important to some persons, but it comes at a cost in dollars. And speaking of dollars, Paul Reed Smith spent hundreds of thousands of dollars to fight Gibson in courts of law in order to keep making his singlecut guitars. Very factually, the PRS singlecut guitars look a hell of a lot less like a Gibson Les Paul than do the Ibanez and ESP guitars here. A PRS guitar only ever sounds like a PRS guitar to me. These guitars don't sound like Gibson guitars at all. And the S2 SC guitar isn't created to be used specifically for metal music like some of the others here. Then again, a guitar absolutely doesn't care what its manufacturers intended musical purpose was. Any of them can be and will be used for various styles of play. This guitar, like the Ibanez, has a twenty five inch scale. One can more readily play down tuned from standard tuning on such an instrument. And the PRS features push-pull pots for coil splitting or coil tapping. This means you can split the humbucking pickups into single coils, should you like. What this guitar does not offer is a maple top. The body is all mahogany like a Gibson SG. So if the maple top is important to you, this isn't your guitar. These go from between twelve hundred and fifteen hundred bucks, depending upon your choices of finish and whether or not you choose the birds in flight fingerboard positioning marker inlays over the standard dots. My family mostly are musicians, my mom played the guitar, violin, mandolin. I have an Epiphone, the sound is fantastic even though the top is cracked. I will be back to see what you have to offer.